Hey new to Yamaha and 2 strokes. 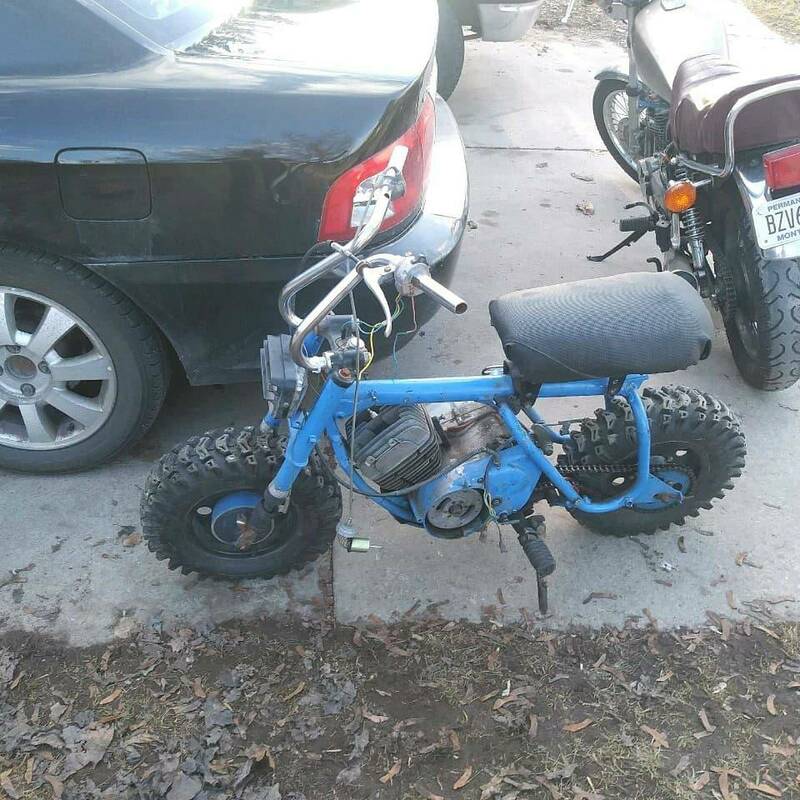 But I got this mini bike in a trade that has a ct1 motor on it and I can't get it to run. 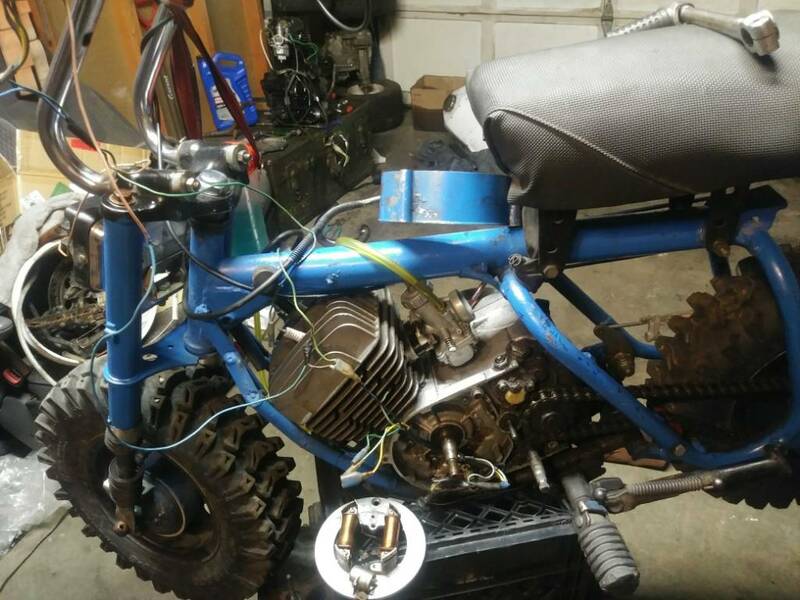 Got spark, don't believe the ejector is working so Im mixing gas, don't have an air filter but should still atleast get something. Not even a put put. Compression sounds amazing. Do not have a exhaust for it so that's open. Decided to time the points and thought they were under the magneto with the coils but there's nothing. There's a little cylinder that hooks up. But no points. Any help would be appreciated. I'll take some photos of the magneto area when im back at the shop. Went through the carbs all the jets are super clean. Yeah... Carb on and have gas running to it. That was when I first got it.. This is the plate under the magnito and It seems like the point should be on top of that..
Yup, you are missing the points. I don't know how you have spark unless someone has wired in one of those little lawn mower "points eliminator" boxes? If that's what they did... then the timing is likely way off and you'd have to slot or drill new holes in the stator plate to rotate it to get the timing right. Which would be kind of a waste of time because those little boxes fry pretty quick on a Yamaha.... speaking from experience. Not to change the subject , but here's another version of CT-1 in a mini frame. Started as a Cat 400x. Moves out pretty well!